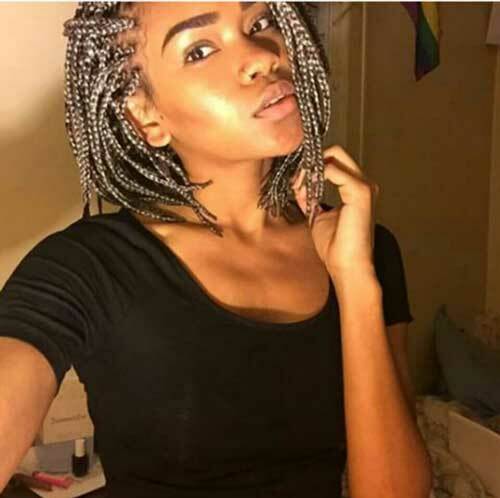 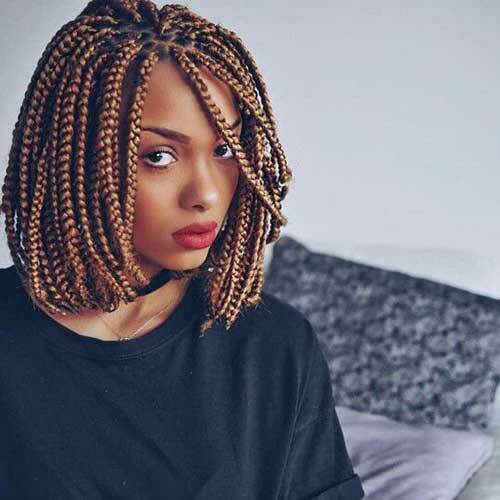 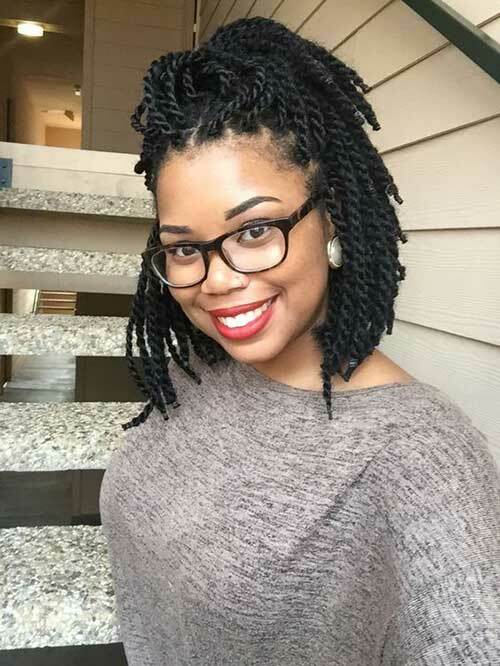 Box braids are one of the most unique and chic hairstyles for black women, it looks great both on long and short hairstyles. 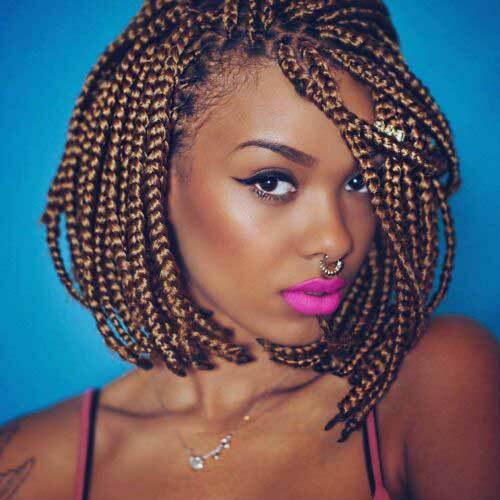 If you want to see the hairstyles with box braids you’ve come to the right page. 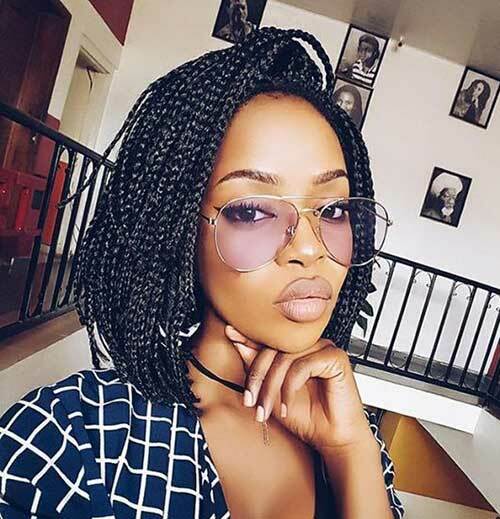 You will find the best braided short hairstyles mostly include bob haircuts with different hair color and braid techniques. 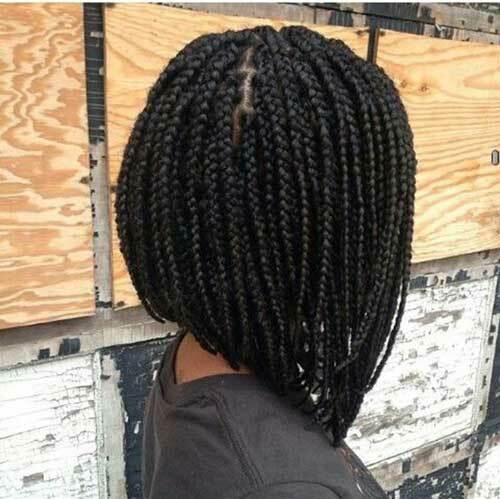 Braids are perfect for black women because this way you can protect your hair, it looks gorgeous too. 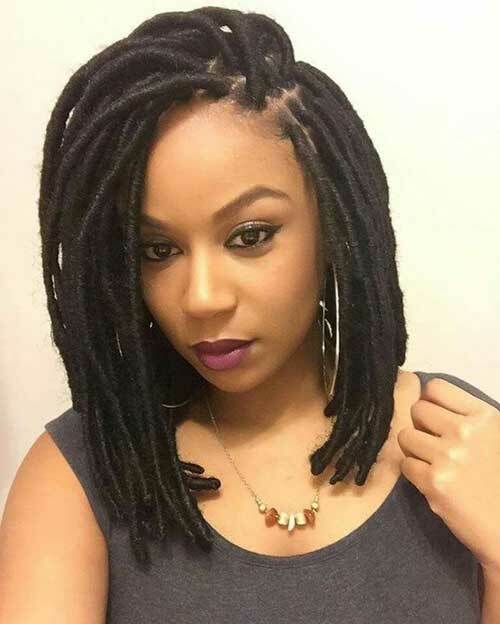 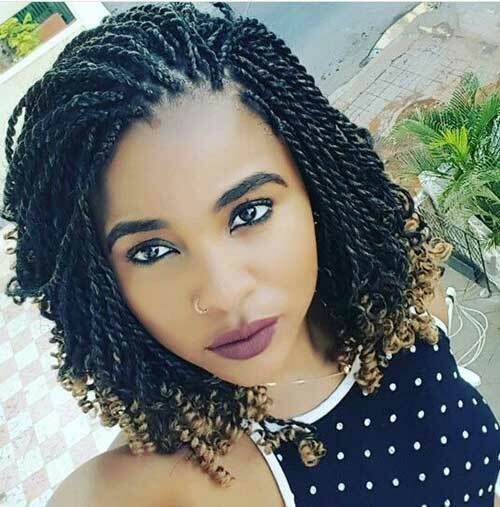 If you have a natural long bob hairstyle, this pic below would be very inspiring for you. 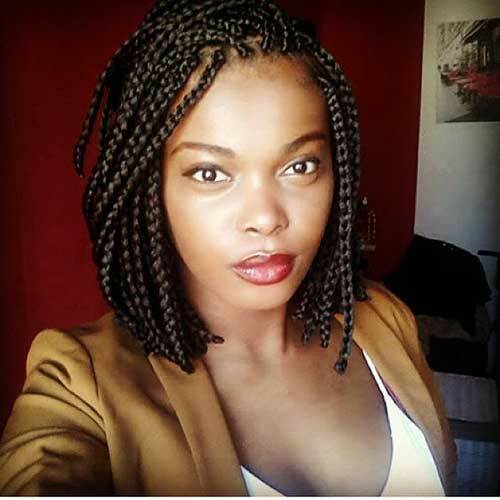 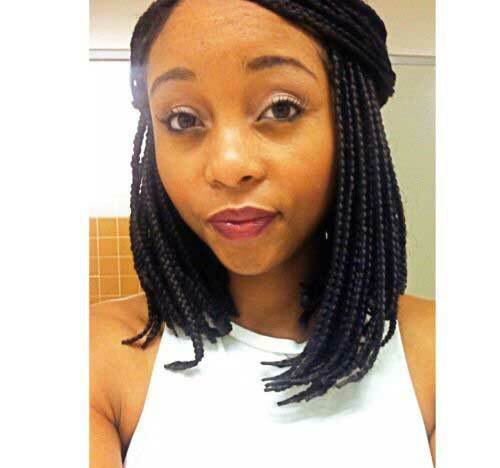 Thin or thicker braids can be chosen when you want to adopt box braids for your short bob hairstyle. 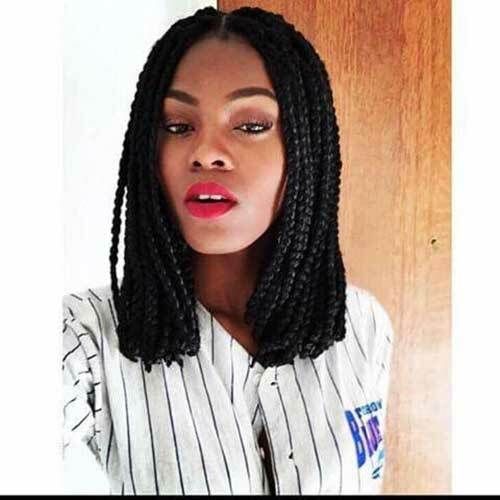 Here are twisted braids for long bob hair with dip-dyed blonde ends, it looks definitely adorable and chic. 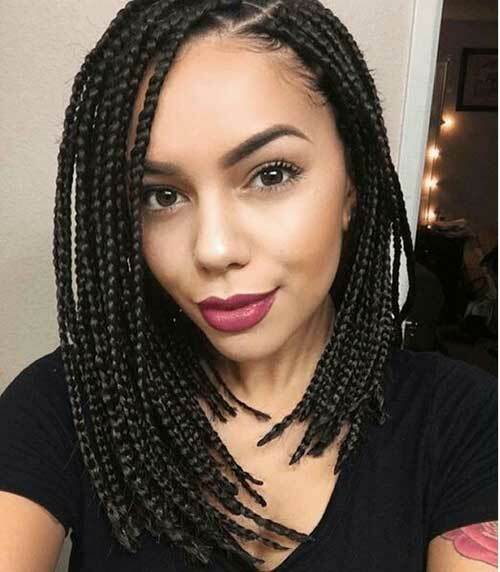 You can style your hair with braids even you have inverted bob hairstyle, as you can see it is very stylish and unique idea for black women. 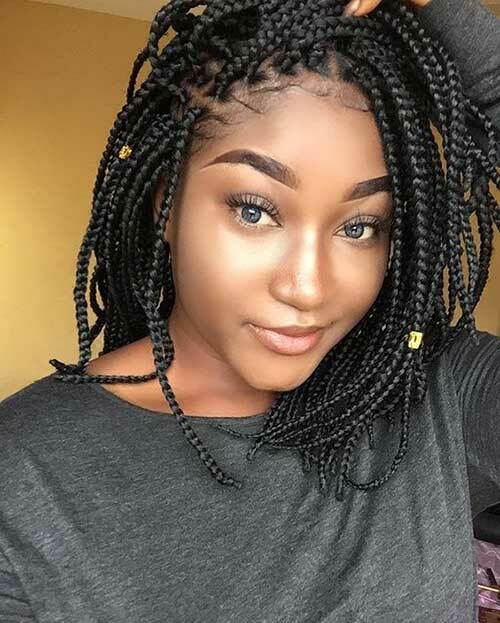 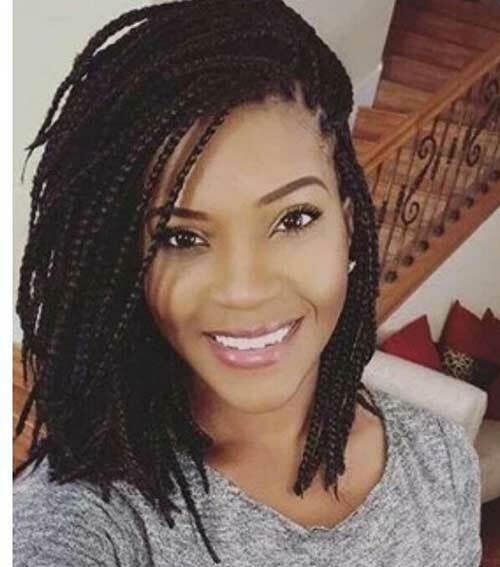 Here is another thick box braid idea for black women who want to emphasize their braids, light hair color nicely show off the braids and her skin tone. 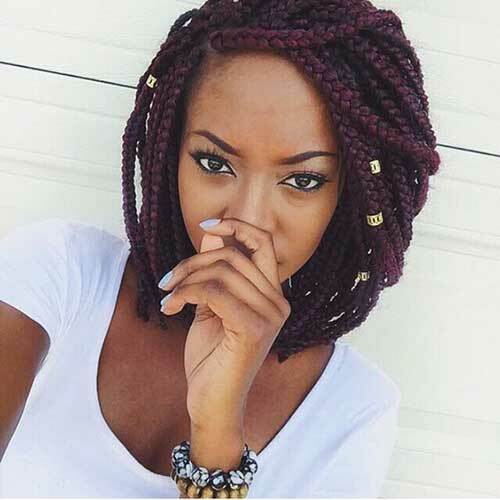 Deep red hair color, thick braids, and hair accessories look really chic and effortlessly gorgeous.